Today following companies announcing their results.. The issue opens on Aug 05, 2010, and closes for subscription on Aug 09, 2010. The equity shares of the company are proposed to be listed on the Bombay Stock Exchange (BSE) and National Stock Exchange (NSE). Prakash Steelage Limited is entering in the capital markets with an initial public offering, IPO of 62,50,000 equity shares of Rs. 10 each for cash, at a premium to be decided through a 100% Book Built Issue. The price band for the issue has been fixed at Rs 100/- at lower level and Rs 110/- at upper level for equity share of Rs 10/-. Prakash Steelage Limited (PSL) is an ISO 9001: 2008 and PED certified Company, engaged in the manufacturing of seamless & welded stainless steel Pipes, Tubes and U-tubes. Company carry their production through two state-of-the-art production units situated at Silvasa and Umbergaon (Gujarat) with total installed production capacity of 12200 MTPA. Engineers India Ltd is entering in the capital markets with an follow-on public offering, FPO of 3,36,93,660 equity shares of Rs 5 for cash, at a premium to be decided through a 100% Book Built Issue. The price band for the issue has been fixed at Rs 270/- at lower level and Rs 290/- at upper level for equity share of Rs 5/-. The issue opens on Jul 27, 2010, and closes for subscription on Jul 30, 2010. The equity shares of the company are proposed to be listed on the Bombay Stock Exchange (BSE) and National Stock Exchange (NSE). The issue opens on Jul 28, 2010, and closes for subscription on Aug 02, 2010. The equity shares of the company are proposed to be listed on the Bombay Stock Exchange (BSE) and National Stock Exchange (NSE). SKS Microfinance Ltd is entering in the capital markets with an initial public offering, IPO of 1,67,91,579 equity shares of Rs. 10 for cash, at a premium to be decided through a 100% Book Built Issue. The price band for the issue has been fixed at Rs 850/- at lower level and Rs 985/- at upper level for equity share of Rs 10/-. Bajaj Corp Ltd is entering in the capital markets with an initial public offering, IPO of 45,00,000 equity shares of Rs. 5 each for cash, at a premium to be decided through a 100% Book Built Issue. The price band for the issue has been fixed at Rs 630/- at lower level and Rs 660/- at upper level for equity share of Rs 5/-. The issue opens on Aug 02, 2010, and closes for subscription on Aug 05, 2010. The equity shares of the company are proposed to be listed on the Bombay Stock Exchange (BSE) and National Stock Exchange (NSE). Aster Silicates Ltd Listed today and its price is going above 35%. It is really a good day for intraday traders. Finaly at the end of day. 79.83 % high.. Great!! Aster Silicates Ltd IPO will list on Wed, July 28, 2010. Issue price of this IPO has been fixed at Rs 118/- per share. IPO was oversubscribed by 4.47 times (7.4100 times in retail). 8% per annum payable i.e. INR 80/- will be paid every month on a deposit of INR 12000/-. Maturity period is 6 years. Can be prematurely encashed after one year but before 3 years at the discount of 2% of the deposit and after 3 years at the discount of 1% of the deposit. (Discount means deduction from the deposit.) A bonus of 5% on principal amount is admissible on maturity in respect of MIS accounts opened on or after 8.12.07. Both Maruti Suzuki India Ltd. and Indian Bank price went down more than 10%. India's mobile users count went above more than 62.13 million. Wipro posts good Q1 nos. INDIACEM announces DIVIDEND-RS.2/- PER SHARE, record date 26-Jul-10. Reliance Power - Q1 results on July 30, 2010. Sun Network, India's largest media conglomerate has powerpacked Twenty TV Channels with the reach of more than 95 million households in India. Sun Network's channels can be viewed in 27 countries including U.S.A, Canada, Europe, Singapore, Malaysia, Srilanka, South Africa, Australia and New Zealand. The 200 crores movie 'endhiran' going to hit movie theaters soon. Sun pictures having the distribute rights for this movie in india. This may affect in stock price also. Today listed Hindustan Media Ventures Ltd and opens with price 170 Rs. Now the price going above 10%. As per the previous post, GVK power went again above 46. Now the price is 46.80 Rs. So wait until it comes again around 40 to 43 Rs. for buying. Buy Shree Renuka Sugars Ltd., Short term target is 70 Rs. Hindustan Media Ventures Ltd IPO will list on Wed, July 21, 2010. Issue price of this IPO has been fixed at Rs 166/- per share. IPO was oversubscribed by 5.43 times (1.0000 times in retail). Expecting lot of day trading on this tomorrow..
Technofab Engineering Ltd price growing day by day after listing. End of today the price is 303.50 Rs. It is end up with +34.50 points in BSE and +15.15 points in NSE. Today gainers list : TCS, Godrej Industries Ltd, Tulip Telecom. Technofab Engineering Ltd IPO listed today & its price went above 22%. At the end of day the price is 295.65 Rs. Technofab Engineering Ltd IPO listed today ( Friday, July 16, 2010 ). Issue price of this IPO has been fixed at Rs 240/- per share. IPO was oversubscribed by 12.78 times (10.0300 times in retail). Midfield Industries Ltd is entering in the capital markets with an initial public offering, IPO of 45,00,000 equity shares of Rs 10 for cash, at a premium to be decided through a 100% Book Built Issue. The price band for the issue has been fixed at Rs 126/- at lower level and Rs 133/- at upper level for equity share of Rs 10/-. GVK Power & Infrastructure Ltd is a good share for short term. One can buy at 40 to 43 rs. and can exit around 47 to 50 rs. 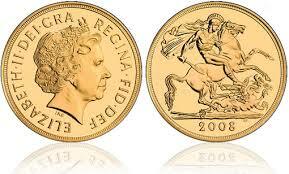 Investment in Gold without taking physical delivery of Gold - totally avoids risk of theft. Purchases can be made thru' our NSE terminals, just like purchasing a Share. Units will get credited in your Demat account, again like Shares. Gold ETF prices are normally 2-3% cheaper than the price of pure gold. Ashok Leyland Ltd has end up with 4.38% ( 71.50 rs ) today. Before one year it was Rs.35 per share. With in one year it doubles. Those who having this share for the past of one year would have benefited. 'Long Term' is always successful formula in market. Infosys still struggles to get up. End up with 2,758.95 rs. The new symbol for Indian Currency has been discovered. See the image for the symbol. IIT student udhayakumar found this symbol. Government offers 2.5 lakh as a price money. Lets start to compare gold price in every month mid( may be 14th day or above). It will be help to get a analyse about gold. Infosys 'Q1'( rs.1488 crore gain ) result shows that the company's gain went down 2.4% when compare with previous year. This is due to less orders from European countries. Also Infosys has taken very less( 1026 ) employees during this quarter. Today end up with -47.74% in BSE and -14.50% in NSE. Losers List: Idea Cellular Ltd, Jet Airways, ranbaxy. Dhoni signs Rs.200 crore deal with sports management firm( model of 22 companies including pepsi, godrej, reebok ). He moving forward of sachin tendulkar who is having deal of Rs.180 crores. Jet Airways price went above 7% today. Idea Cellular Ltd price down above 6% today. Previously this price went up above 7% on july 9th. Is that a good share for short term? ;) Guess yourself & do..
Infosys price went down above 3% due to Q1 result!! Unitech Ltd price went up above 6%. It was a good end to the first day of a new week with the Nifty closing at a new 30-month high, the highest closing since February 5, 2008. Educomp Solutions Ltd price ends up with above 6%. 'The FIFA World Cup Champion 2010' Spain team got 142 crores as price amount. The runner Netherland team got 113 crores as price amount. Bharathi Aitel Ltd price has up more than 8% today. Idea Cellular Ltd price has up more than 7% today. Tata Teleservices (Maharashtra) Ltd has up more than 5% today. Seems major telecom industry prices are up today. cut-off price : 100 r.s.